Welcome to the Sarah Riggs Humphreys-Mary Silliman Chapter (SRH-MS), Daughters of the American Revolution! Our chapter supports Derby, Shelton, Trumbull, Stratford, Bridgeport, and Monroe, Connecticut, and other surrounding towns. 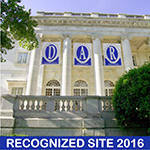 The Daughters of the American Revolution (DAR), founded in 1890 and headquartered in Washington, D.C., is a non-profit, non-political volunteer women’s service organization dedicated to promoting patriotism, preserving American history, and securing America’s future through better education for children. 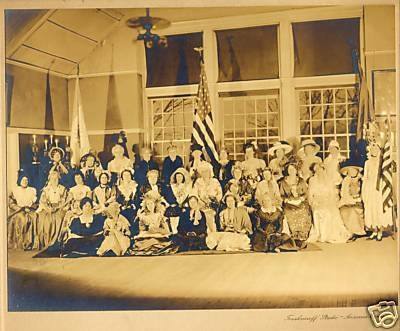 The Sarah Riggs Humphreys Chapter of the National Society of the Daughters of the American Revolution (NSDAR) was organized October 11, 1893. The Mary Silliman Chapter of the NSDAR was organized January 15, 1894. The Sarah Riggs Humphreys and Mary Silliman Chapters merged on October 3, 2009. Please visit the General David Humphreys House for more information on Sarah Riggs Humphreys and General David Humphreys. For questions or feedback regarding this website, please email the Sarah Riggs Humphreys-Mary Silliman webmaster. Recently, Sarah Riggs Humphrey DAR Chapter celebrated its 125th Anniversary Celebration and this video was produced to commemorate th history of our chapter. This site was last updated on November 3, 2018.